On Friday April 29, 2011 Prince William of Wales will marry Catherine “Kate” Middleton as millions across the globe tune in. Whether you are wholly uninterested, or throwing your own Royal Wedding Party at home to watch the affair, one thing that should hold your excitement is the bubbly served at the event. There had been lot of speculation about who’s sparkler will be served, but it has been confirmed that it will be a true Champagne, from Pol Roger. As the second largest consumer of Champagne in the world, England has a long love affair with Pol Roger Champagne. Began in 1849 in Epernay, France, Pol Roger was the Champagne of choice for Sir Winston Churchill from 1908 until his death in 1965. Sir Winston Churchill was such an influencer of the producer that upon his death in 1965 they added black borders to their lables, and in 1984 they released a prestige cuvee bearing his name. The top of the line, the Pol Roger Sir Winston Churchill is a premium Champagne, bold, like the man who is it named after. However, you do not need to be a Royal or British elite to sip and savor the bubbly served at the Royal Wedding Friday. The Pol Roger Brut Reserve White Foil is reasonably priced at approximately $40 USD, but has all of the finesse and flavor you expect from a fine Champagne. Pol Roger Champagne is imported by Frederick Wildman & Sons, and distributed widely throughout the country. While I’m sure the chef’s of the Royal Wedding will be pairing caviar with Champagne, you can pair foods with Champagne that are a little more budget friendly. Salty foods go well with brut Champagne, from smoked salmon to tater tots. I’ve served “pigs in a blanket” and a spicy brown mustard with Champagne before, knocking people’s socks off. And if you’ve watched “7 Year Itch”, the delightful Marilyn Monroe educated everyone that potato chips pair perfectly with Champagne. I’ve put up tasting notes about Pol roger Brut Reserve White Foil Champagne before. It was part of a number of sparkling wine recommendations for Valentine’s Day. However, it can clearly be served at many, and any, occasion. 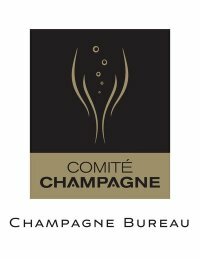 The following is a press release from the Champagne Bureau, with information about the origins of Champagne. Amid the hubbub surrounding the Friday, April 29, wedding of Catherine Middleton and Prince William, one detail is not to be missed: the happy couple will be honoring tradition by serving Champagne at the reception. England is the second largest consumer of Champagne, after France and ahead of the United States, according to the Comité Interprofessionnel du Vin de Champagne (CIVC), the trade association comprised of all the grape growers and houses in Champagne. By choosing Champagne to celebrate their marriage, Catherine and William are following the custom of many other royal weddings, including that of Prince Charles and Lady Diana Spencer in 1981. Champagne is only produced in one unique region, which covers less than 80,000 acres and lies 90 miles northeast of Paris. The grapes are handpicked and processed in accordance with strict regulations and an intricate hands-on method, carefully developed and cultivated over 300 years. While there are many other good sparkling wines produced around the world, only Champagne is the traditional wine of royal weddings and coronations.